This next year I will be teaching in a brand new school district. I am so excited and can hardly wait to begin! 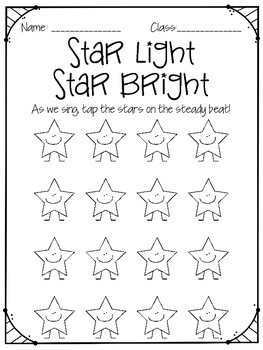 Unfortunately, I will not have as much technology so I have started to make more printable things for my students. 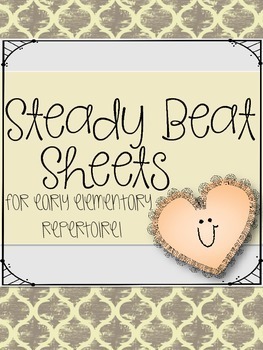 These sheets are intended to help students track steady beat while singing some of the different songs they will be learning in music. 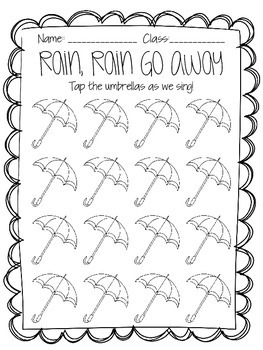 I will have mine bound together like a little booklet so that when we're finished with them, they can color them, take them home, etc. I also always put a spot for the name and the class because I teach multiple classes of each grade, so I just have them put their grade number and the first letter of their teachers name. 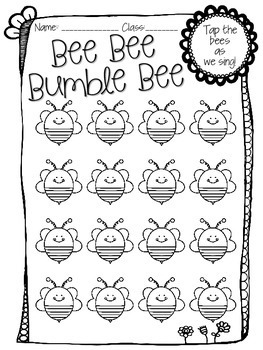 However, for these specific sheets it's not really necessary that a child gets the same page each time.